Can you talk a little about the startup foundry concept and how Interplay differs from the standard venture model? Today we’re talking about the hunt for investors and we’re doing it from a bit of a different perspective as we’re looking at it from the standpoint of the entrepreneur. Let’s start off w/ setting a strategy for a fundraise… Why is it important for entrepreneurs to develop a fundraising strategy and what are some of the key components they should include? This process isn’t just about finding any money but finding the right money. From your standpoint, what should entrepreneurs think about when selecting investors to pursue and do you have any thoughts on the due diligence entrepreneurs should perform on their investors? Assuming one has an idea of the type of investors they’re looking for, what are your thoughts on where or how founders should look for investors? You’ve cited the three documents an entrepreneur needs… The bait, The Presentation, and The How. What are each and why are they necessary? With regards to the bait… Any key red flags that most often jump out at you and disqualify a pitch from further consideration? Today Mark Peter Davis joins us from New York. Mark is a serial founder and investor. He is managing partner at interplay ventures and he is author of the book “The Fund Raising Rules”. #Mark Thank you so much for joining us. Interviewer: Yeah can you start us off with your background and how you became involved in startup investing. Mark: Yeah! Absolutely. So I think the story kind of begins with childhood for me. I’ve done a lifespan entrepreneur. It’s not something I really chose, wasn’t something I kind of went out looking for. It’s what I did for fun. It was a hobby as a kid. It was base for courage and all mentoring you can engine your high computers to graduate and seniors at high school and it went from there. Five covers in college and never really stopped. I’d say, my career, once it kind of got in the work for strangulated two different aspects. One was building operational expertise through working, consulting and starting companies and the second was learning how to get opportunities and to pattern matching through work at two different venture funds going to set at New York. So I’ve been VC for about a decade and to myself more of a serial entrepreneur than investor and probably I started a couple dozen companies today and then as all kind of come together to bring interplay to life which is a little bit different than attritional venture firm. We do invest actively so that’s a big part of our story. We are also a foundry so that means we are going out, taking ideas off the show, finding teams and building, launching companies. So that’s a huge chunk of our time as actually launching new ventures internally. Interviewer: Any entrepreneurial experiences in particular that you’d like to highlight? Mark: I mean I think that theory goes for most entrepreneurs, myself as well, like it just want a lot of tenacity and fighting to stand a game, I failed a ton. I’ve made a tremendous number of mistakes. I’ve been through cycles, good and bad in the entrepreneurship side where I could have avoided a whole bunch of paying points if I had the right mentorship and through all of this different venture that didn’t go well along the way, every time I picked up a handful of skills. So in five companies in college that were, some were good ideas, some were bad. They are from like delivery companies, you don’t allow this stuff in college you are solving the paying points in front of them to classified add network which I thought was of the more interesting but if you don’t have the right mentorship, you’re probably not gonna make the right choices of your first time entrepreneur figuring it out and that’s where I found myself in a lot of my career. So I’ve kind of gone the hard path of trying to learn a lot of lessons the hard way rather than having someone whispering in my ear the answer but netting it altogether it have some tools tips skills and a lot of start issue which I think now makes me dangerous. 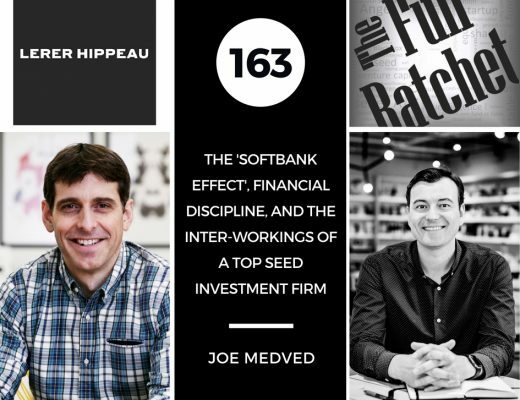 Interviewer: Before we kick off the topic here, we haven’t yet done an episode on startup foundries or venture labs although we do have one coming out in the near future. So would you mind taking a second to give us a sense for how interplay works and why it’s different from a traditional venture model? Mark: Yeah so interplay is a foundry in investment firm so we are investing in companies at all stages. We’re sector GO and stage agnostic. We are also foundry and that means we wake up every day, we have great ideas we think we’re interested in. We go on, recruit teams. We put those companies together and we launch them and we stay involved to those companies for life in a company. So we are hiring a lot for those companies, so if you look into to get a job and join up at a company just go to interplay.vc. There is way to apply. We are also looking for people to become CEO’s and found us new companies. One thread I’ll highlight for everybody is the first ten or so companies we created, finally twenty now, are a new suite a reimagine suite of services from the start community itself. Reality is when I was the CEO of a company before, I knew lot of the service for better since the market didn’t understand the startup community having worked. We wanted these fax machines, we were getting the right product, so the type service it were tech enabled and so we have gone out and try to reimagine those companies mainly because we just think that needed to be solved for the ecosystem by bringing people together as founders who were from the startup community first and then building out the businesses, just to get sense of the types of services that are there. We’ve got an interns 4:13 this #Founder Shield, #Nomad Financials doing accounting and finance for startups. We’ve marketing as a service STR’s CMO’s part time CMO’s, business development through folk models that can try to tap in the fortune went thousands or so line of more customers, they can help about if you are looking for office space, there’s #Truman James, twenty times helping on the recruiting side than wise in the market, helping executives get of the lonely cycle of being a CEO or founder and get kind of a purer support and education. You got #Common Legal helping on legal services side. CO’s companies are out there, they are doing great stuff. You can find them on Venture Juice if you’re just looking for a simple way to engage the market and see the list and kind of what’s available to you but those companies are out there that we serve a huge chunk of the venture back companies in the country at this point and that’s growing rapidly and it’s just all about you know they are all for us, by us. They are all run by former entrepreneurs and founders. #Dev Spark are also there. They do tech development in produce and design work and they are all run by, tech #Dev Spark for example is run by a former venture back CTO turn CEO. #Nomad Financials run by the former head of finance at vimeo. The list goes on. They are kind of all from the ecosystem, reimagining those experiences and doing it the right way. So that’s what we’re doing. Interviewer: So today we are talking about the hunt for investors and we are doing it from a bit of a different perspective as we are looking at it from the stand point of the entrepreneur. #Mark let’s start off with setting a strategy for a fundraise. Why is it important for entrepreneurs to develop a fundraising strategy and what are some of the key components they should include? Mark: Yes. I covered a lot of this stuff in my books. So for you mentioned in the beginning, I wrote a book called “The Fundraising Rules”, just a bit of back run on that, I think it’ll be a helpful resource for folks. Mark: I’m an entrepreneur first, actually went into venture to learn to be a better founder and spent the first five years of my career really getting kind of a deep understanding at the process and learning constantly from the VC’s around me, from the entrepreneurs coming to the door and I frankly watched a lot of people come in and just make mistakes from the process. What I started doing was documenting all of it. Initially through a blog which eventually became a book of this sort. 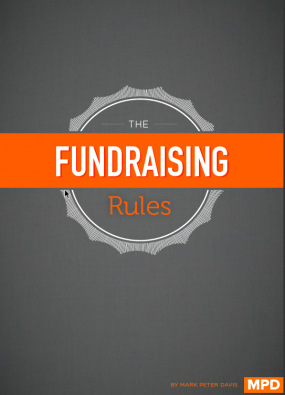 If people are interested “The Fundraising Rules” is the name of the book. It’s about 300 pages of a chronological A-Z in a fundraise. Each chapter is a different step in the chronological process so that you can float through the chapters. It’s designed to be a handbook. I read it from the, on the workbook come later out there. Let it for knowledge purpose and how entrepreneur’s in the market and hopefully it’ll answer some of these questions. In terms of strategy, the fundraising process is a little bit of a game and if you get the gain, your hours of being successful are a way higher but the first thing people should do before they even get into the game of start trying to go and not raising money from VC’s is to think of that whether or not they should actually be raising capital from VC’s. It seems that the immediate reaction for folks is “Hey, I’m starting a company. I should get raised about a lot of money. because it’ll make this less painful and/or that would be a prestigious..” or whatever else but ninety plus or cent of the time entrepreneur shouldn’t be seeking VC money and that’s why there is such a huge ding right for the number of pitches VC’s see to the number that they invest in which is something you know, if you’d like to say I take one percent. There is a lot of business side plans that aren’t good but there’s also a lot of entrepreneurs that have good business plans that should be financing them differently. Just to take a step back, I think if you ask the average entrepreneur in this whole that will tell what the point I’m making here. What the drivers of success for their ventural bay, most people say the stuff that I would have said before I kind of broke in to VC. I’d say market size team, strategy, a handful of other things and there’re the things that usually are ingredients of any standard pitch fundraising document or otherwise. It’s parts of the story of the whole plan but the reality is most people will fail to talk about how they finance their company and if you define success as ultimately entrepreneurs return on the venture they do, how they finance the company, how they structure the type of investors they bring along for the ride, will have a paramount impact on the outcome. For example let’s say someone goes out and starts a company that does really well, hits to a five million dollar top line revenue run rate , they got profits the whole day but they brought in VC’s along the way who don’t see kind of the return they need to have an impact on their fund when a company flat runs at five million bucks but the VC in the game then becomes “Hey how do we expand this business, let’s take some risks on some new ideas, let’s make me bring in more capital until leak down the cat table, to try some new angles”, but if the founder had actually funded it from the get go with investors that understand that type of profile, maybe you’re fine with a cash full of business that’s paying their most sung frequency in terms of dividends of distributions. The founder could be crushing it in fact well most impressive angel investors I’ve had in many of my companies along the way wasn’t the VC’s who manage to use sums of capitals. A guy who had #9:12 , a company for three years, he got a two of five million dollar top line of feather your by every venture story but he own a 100 percent of it yet 80 percent profit margin and he drove a Maserati. SO there is a game in this. Finding an alignment between your fundraising strategy and basically the structure of the company that I talk about this in a good bit length and detail in my book. There is a two by two matrix I propose. It basically help you try to frame their approach of the types of investors that you should be focusing on as function of the stability of the opportunity and how much capital that you’d get there and so the short of it is, if you don’t need a lot of capital to build, a small or medium company should be really careful to take investors who are down with the type of structure and the type of outcome you might realize. If you succeed at having a small business but you convince folks along the way, it’s gonna be a big business, you might have ruined what would have been an otherwise good return. Now the clip side VC is the God son for the right company just not VC is not bad at just about alignment. If you have a big company that means to do a land grab, own marketing share, doesn’t have inherent barriers on day one that are quite scalable barriers. VC is the name of the game, is only you on the big market, can build a big outcome. So the game I’d say before people even start formulating the strategy, the first step is to figure out what kind of capital you should be raising and make sure it’s aligned with the right outcome, be communicating “we’re gonna try to get this to profit, build the five million dollar business, clip it for 15 million bucks”, here’s investors who would love that and as long as you capitalize it properly, maybe the deal looks a little different then it might have been in a normal venture deal. That can be a great outcome for everybody. After you figure that out and if you decide that you’re going through the VC game, there is a lot of stuff you can do to optimize your outcome. There is pre fundraising which most people aren’t talking about, which is building relationships with investors before you are even in the game. There is a very powerful pattern of emailing people and say “hey I’m not looking to raise money, I just wanna start a conversation”, you’ll be on the market down the road and you can start to show people over this the subsequent months, patterns of success, “hey we’re gonna set out, we’re gonna launch this market or start getting across to that position”, nail down and then then coming back month by month updates. By the time you’re raised they know you to trust you. They can see that you’re consistent and you can execute as a very powerful part of the game. There’s probably a hundred pieces to figuring out the right strategy, many of which are illuminated in the book but I’d say from just high level things make sure you target investors that are actually aligned with your type of company. A lot of investors unfortunately have very generic websites, almost sale and invest in anything in the IT. When they are at ease they’ll for companies of a certain size with certain revenue matrix. They might only actually do a couple of sectors than IT. Maybe they don’t touch a tech. I’d spend extra time with Meta portfolio which will usually illuminate some patterns. You can see when they entered, 12:01 where the patterns and all that and next dozens and dozens of steps that kind of take you through the whole sequence of the fundraising cycle. So I’ll stop blabbing for a second but I’d say if that everyone started with step one which most people skill and stop to analyze how should I be financing this to maximize my return as an entrepreneur. People make kind of very different conclusions by how they finance their companies and they may be more prone to actually being successful at the end of the day. Interviewer: Yeah I think your point about pre investment meetings, every founder that I’ve ultimately invested in asked me for advice long before they ever asked for money. Mark: Right, right. It’s just restoring our relationship. So much easier to go invest in somebody you’ve got to know and you’ve got comfortable with. They say they’re gonna be at the certain places, certain times they show up, it’s the little things that signal level of confidence that makes it less 12:53 given your cash. Interviewer: Yeah. I think in fact I asked all those founder if I could invest so there’s got to be a lesson in there. So Mark this process isn’t just about finding any money but it’s about finding the right money. From your stand point what should entrepreneurs think about when selecting investors to pursue and do you have any thoughts about the due diligence entrepreneurs should perform on their investors? Mark: Yeah! Great question. I’d say there’s few cards to that story that I think are super important. One is thinking about syneco construction. So I think it’s really important for every syneco to include on party whether they’re the leader or not but hopefully usually the lead that can be kind of the trusted resource for the entrepreneur. You also want another party who then hopefully derisk inter financings. Many other lead may be they are smaller investor and you see around for example that you now they’re right a fat chap in the egg and then the third thing that I think you should always be looking for if you look and take operational friction bad at the game to have industry knowledge, a roledex 13:59 pieces of things that will kind of make it easier to build this company. They might have pricing instruction expertise whatever it may be that’s kind of a critical success factor for the company. Now being on that, obviously you’re gonna get the money, so you got to fault around but I’d say people should really start with thinking about how they can kind of map some, check off some boxes and to how they are building their team looking these people more as partners not just for capital. What I’d say in terms of diligence I think it’s worthwhile to do market diligence on folks, best that you can do is talk to founders that have taken their money and I think in this VC’s introduce them, recommend them or suggest you reach out to them. You’re probably not gonna get the full story, just like you won’t when you’re hiring somebody and they offer their references. Those people are gonna tell you what you want to hear, may not tell all the dirt. So I think just the fact they can point out if you see yours’s as validation then. They’ve got the confidence that some CEO’s will back the up. I probably wouldn’t call those CEO’s. Remember you call them but it also call some other folks that they interacted within the past they didn’t recommend. I mean that’s very powerful. The thing I think that’s almost more important is to remember to think about the people across the table in a context outside of the fundraising process. It’s so easy to cut up and this is a deal dynamic. Are you trying to do a transactional mostly closing a customer and you are so focused on closure that you are not thinking about one of the human component the way you would any other relationship. If you think about the bright image it’s easy you get in this kind of psychology or thing. If you start thinking about these people as cofounders while there is a whole different set of expectations and the reality is you’re getting inert to these folks in a lot of different ways. So I think if them in “hey what? I’ve been friends of this person in college” to be quick, “I want this person to be our founding team. Does it feel like they’d have the right work at their company and be respectful of people in the right way”, and I think ultimately what your gut should be asking is “Does this counter party, this VC feel like they’re gonna be my boss or do they afford to be my partner” and I think that’s a big line in the cent, how investors operate. There is a sense of entitlement with the folks who think that because they own a small piece of your company then very often the VC’s are minority honored to the founders. They just have certain provisions on rise that entrepreneurs will, or the VC’s will feel like they’re, in controls of their company first. There’s a lot of other folks and now it’s a partnership, maybe got some rights to founder, some rights it’s not a completely symmetrical relationship but you need each other, it’s co-dependent. Finally people who understand that, they say totally different world to be operating in. Interviewer: Mark assuming one has an idea of the type of investors they are looking for, what are your thoughts on where indoor how founders should look for investors? Mark: I think the world has changed from 15 years ago. VC’s 15 years ago were hiding and 16:49 towers. They had to have this great interaction for them to even like take the email and now VC’s, their entrepreneurs are out there, there is an abundance of capital. VC’s now almost live or die by the effect in this so they are marketing in their brainiac. They need entrepreneurs to know and come to them. I think it’s really easy to find in access VC’s today. Imagine people sending me plans through easily, as LinkedIn or twitter and I’ll look at all of it. Now there one probably is your blow or hit rate on something in coming called sure that comes in from someone I trust. The odds are just higher than it’s been bad at but I think getting to folks and building a relationship is really easy in the modern venture game. So I don’t think there is any rocket science intralist, LinkedIn, there’s tons and tons of resources, you can just google for anyone sitting here as VC in the city, there probably an article listing bunch of them. It’s a pretty trivial exercise. Interviewer: Yeah we’ve had different perspectives on a program so far about whether you need a warm lean to pursue an investor or not. I’ve found that the majority of my deal flow comes in cold although I give plenty of referrals and I typically tell people just send it all over because I’m rather make the decision to pass myself instead of somebody, making that assumption. Mark: The numbers got different styles. Our folks deal who only invest in things are coming through, a tight network. I was just thinking recently the vast majority of it save investors are open to the part house. So just get in front of them, obviously to human dynamic. So building a relationship or pour along the way in that if it’s cold is super important. Getting access is just not super complicated anymore. Getting everything else right, that is difficult as it used to be. Interviewer: Yeah I believe, sometimes the cold ones that come in to warm ones because they come to me cold but maybe it’s an energy play and I know what, an investor that prefers energy deals so then I pass along and then it becomes a warm intro. Mark: Right and maybe we deal things like that all the time too, pass it to a buddy who knows the space and now it’s a warm intro to that guy. That guy gets interested and comes back. The person is now wedded by a peer and then maybe you fall with your buddy in. It’s game of pinball. The key is to kind of for the top of the finals to be in the game and the complexity is how you handle it once you are in the game. Interviewer: Right so you’ve said the 3 documents an entrepreneur needs, the bait, the presentation and how. What are each and why are they necessary? Mark: So I think in a short answer the bait is the executive summary of the presentations of the power point and they are kind of how is an operating model but there’s a little new ones to each side, I’ve found is helpful particularly for first time entrepreneurs to make these documents lest harm thing or least to understand more effectively how to prepare them. The first thing is the executive summary really should leave you a page and I don’t think it needs to be more and writing your business plan on a page is down near impossible. The key for folks is to understand that the executive summary does not need to fully explain your business. What it needs to do is address a checklist of topics that VC needs to see to profile the company to term and if there is any reason they shouldn’t meet with you. Where is it located, what’s the basic sector you’re operating in, some bios on the team? How much are you raising, what stage are you a? Tell us about revenue. Really basic things should a VC fully understand your operation angle after that now. The goal is simply to get the meeting or the call and if you have that mentality that you don’t need to illuminate every dark corner of your strategy, it’s a lot easier to catch them condense them solid one page then you’re kind of look like all the other well prepared plans or executive summaries. Presentation, it’s the document you share when you’re in the meeting. It should give the eighty twenty on the approach, all the key buckets that VC needs to understand. Most of the same buckets you’d see in the executive summary plus a couple but each of those would have a bit more detail so someone leaves the meeting with working knowledge of what you’re gonna do, there’s probably a lots of stuff to under. The How the operating model; so a little different, a little new ones. I think a lot of people , if they come from other and it’s particularly banking or financial backgrounds, don’t maybe fully understand what we are looking for on that side. I’d say that the key thing is to understand the difference between operating model and the financial model. An operating model is driven off with operating assumptions; how you are going to build your company? Someone should go to look at it and say ok this month you’re gonna hire this person, spend these dollars on an ad campaign through this channel, expect this conversion rate etc etc etc or they should build a 21:32 hire a sales person and then sending that person who’s going to make eighty calls per day. There’s gonna be ex conversion rate to the second phase in so many of those kind of work two customers and here’s what they pay and correspondingly here’s the increase in cost. So quitting all of that stuff into a model where an investor can then look and say alright if I believe in these assumptions and very often investors are investing in sectors where they are kind of fluent in some of the drivers at the operations. So these matrix look great therefore, we know how long this initial capital takes us, how come pick this company can get, what’s on scale and all the projections are of course wrong but it gives you directional answers some of the business can be. It also shows how you plan to build a business or how were you doing marketing your sales. Is it inside sales or field sales? All that will be illuminated. So a very powerful understand the difference from the documents. A traditional financial model you might say red Negros by five percent every month but that doesn’t really show how you’re building it. If you’re hiring sales people and you have conversion matrix and that leads to revenue, people will understand that, that’s the difference. So I think if you have those free documents, you’re really off to a good start, probably other stuff that investors will ask for or require, but those are the universal things that will show you have your half together. Interviewer: Yeah whether it be my market strategy days, my product management days or now startup investing days, I hate to see those models that show a character based percentage of market share over a time. It’s an output, it’s not the bottom build. It doesn’t show me how you’re gonna grow, it just makes a bunch of assumptions about half of the percent of market is still a tremendous opportunity. Mark: That’s good to know. There’s something in that that okay it’s a big market but the model really just needs to say like, hey it basically is he details of the plan and I think it’s powerful. Lot of entrepreneurs who haven’t created that, going through that exercise or working with somebody who can help them with it, usually a material advantage I think for actually figuring out what you’re doing next verses figuring out later. In startup you can start doing scenarios of a higher personal heir. What does that do and in some cases that maybe extends your runway if the revenue bear. Interviewer: Hey Mark with regards to the bait, are there any que red flags that most often jump out and may disqualify a pitch from further consideration? Mark: I think there’s probably a lot of little things that don’t look great. I’d say one of the things people aren’t really thinking about is if you’re doing something that, a play that has designed as a key element of differentiations technically consumer web, mobile any of the things going on to send a really ugly one pager or power point presentation over. It’s kind of been a dentist with bad teeth and I think there is a game of design where some of the people you can see clearly have back together in beautifully designed presentations. It’s art, their one pager is gorgeous and you get it, it’s impressionistic, it’s visual and it shows you that they have the DNA on the team to build the type of consumer product they are going after. Now they’re doing something that’s not design required, it’s not a necessity but I think that’s an angle, lot of people sometimes have these beautiful apps but haven’t invested the time to make something gorgeous on the presentation. They just didn’t seem important and I think they are doing themselves at a service. Interviewer: Yeah they can’t sell themselves in the startup and how they are gonna sell their product.